The MDA had Board meeting on May 23, 2017. Mike Prince became new MDA Director. 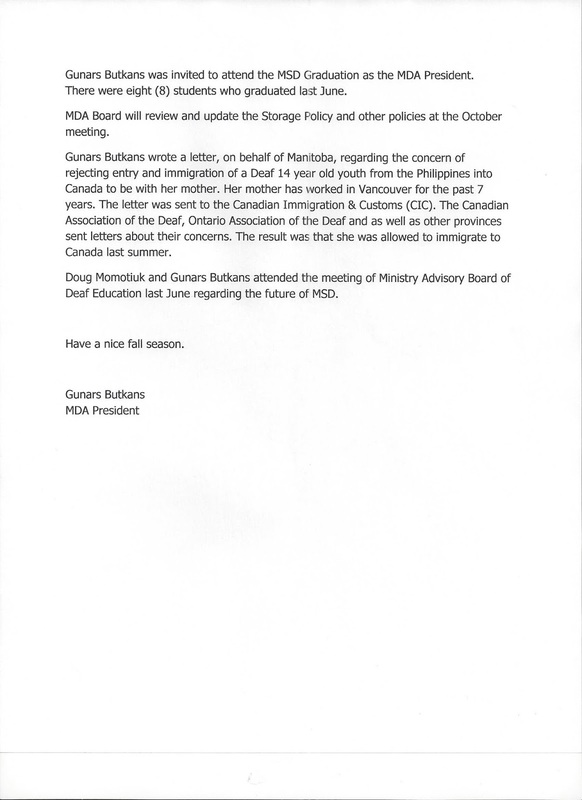 Doug Momotiuk reported that he attended the meeting of Manitoba Elections Forum as representative and he gave the feedback at provincial election and accessibility as well as other disabled organizations gave their feedback. Kenneth Anderson, Mike Prince and Charlene Arnold had meeting with the Fire Commissioner of City of Winnipeg Fire Preventable Office on June 16, 2017 and it was productive and awareness around Deaf people to recognize flash strobes. 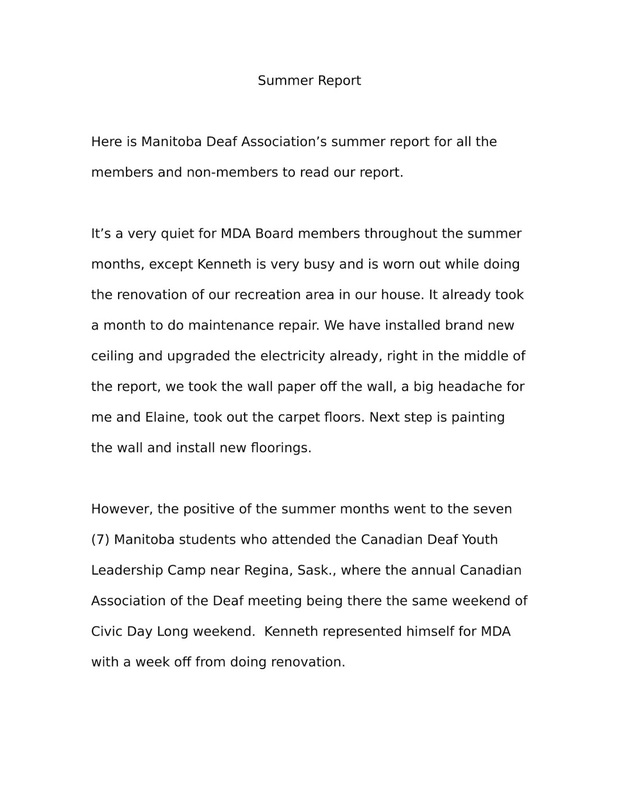 The MDA donated the Winnipeg Division’s fund to purchase the LCD projector for the usage of Deaf Centre Manitoba’s activities and bookings. 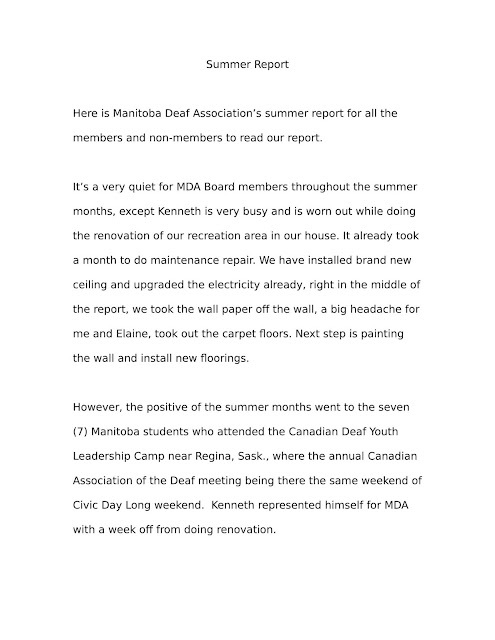 The MDA had the successful host of Canadian Association of the Deaf’s 2017 Annual General Meeting that was held at Delta Hotel in Winnipeg downtown on July 14 and 15, 2017. 3 – Strengthening Human Rights for Deaf People in Canada – United Nations Convention on the Rights of Persons with Disabilities, Federal Accessibility Legislation & Recognition of Canada’s National Sign Languages (ASL and LSQ). There was the Tour of Canadian Museum for Human Rights and Canada 150th Celebration Reception at Canadian Museum for Human Rights, Forks Market on July 15, 2017. There were the delegates, Sheila Montney and Charlene Arnold from Manitoba. Several Manitobans attended the workshops and AGM as observers. Mike Prince had the research on sign languages of Indians and Metis. The MDA hosted the International Week of the Deaf (IWD) on September 16 to 23, 2017. Sept 16 – The Canada Deaf Games – Winnipeg Host Committee hosted Pizza, Pasta and Salad Buffet. 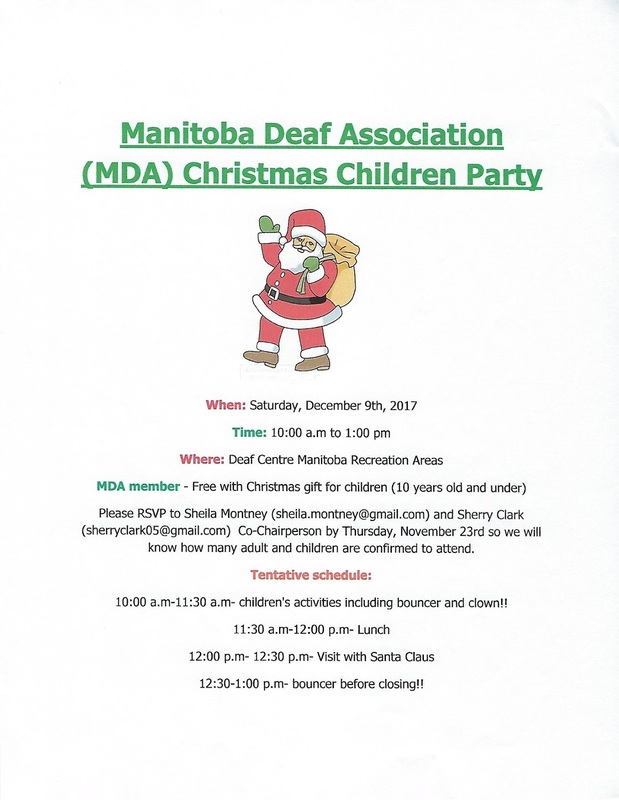 Sept 17 – Tri-Deaf Churches (Calvary Temple Deaf Fellowship, Manitoba Catholic Church of the Deaf and Winnipeg Church of the Deaf) hold the workshop service. Sept 18 – MDA presented two workshops, Accessibility for Manitobans Act & Federal Accessibility Legislation and Usage of Sign Languages on Indians and Metis. Sept 19 – MDA gave the workshop on Flash Strobes that would be set up in public facilities for Deaf people’s awareness during any emergency and disaster. Sept 20 – DCM gave the workshop for any person who want to learn how to use those apps (social media); Twitter, Facebook & website with cellphones or computer. 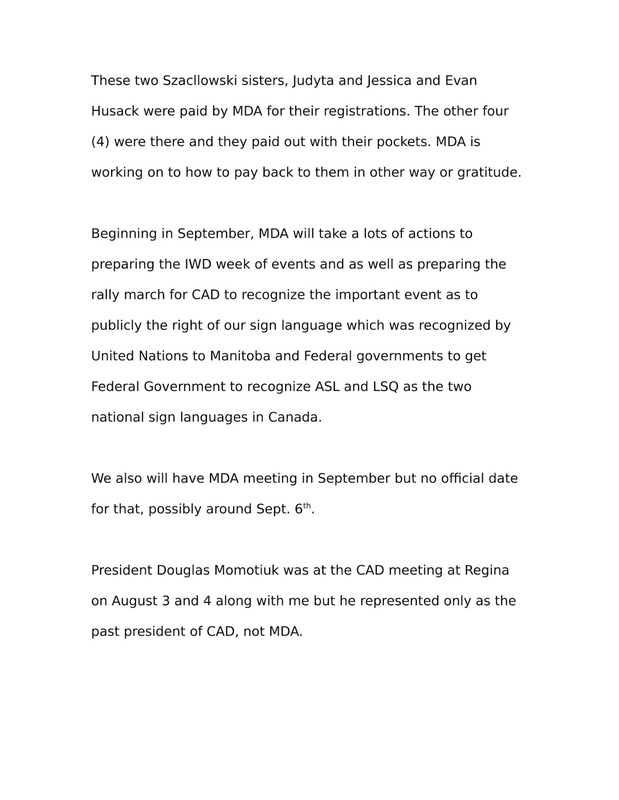 Sept 22 – MDA host the Canadian Association of the Deaf and World Federation of the Deaf’s celebration of Sign Language Rights with the cake and refreshment. Sept 23 – Volleyball Tournament was held at Manitoba School for the Deaf. Thanks to Sheila Montney of DCM, Inc for her effort to provide the information of IWD events at the social media and bulletin board. MDA President announced that there will have Annual General Meeting on April 16th, 2016. For more details, it will be announced soon. Thanks! 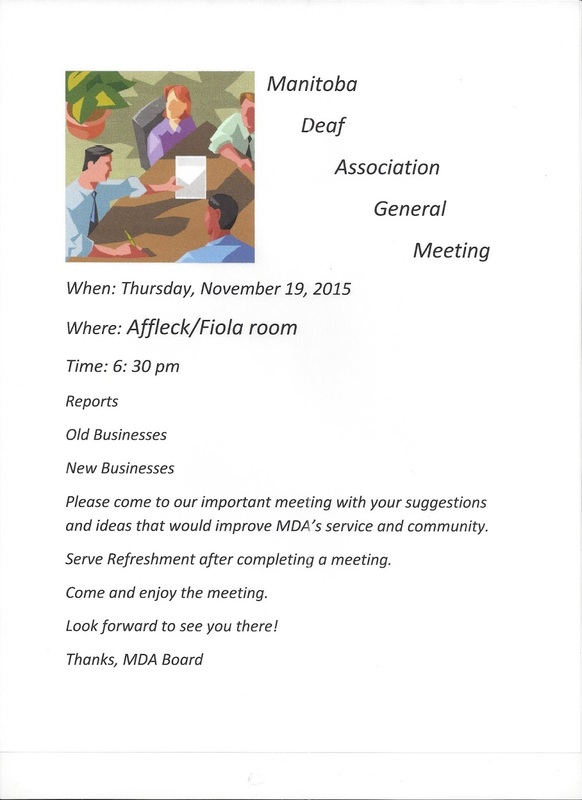 MDA would serve and value better to Deaf Community. We would need more volunteers for events and parties. Firstly, Winnipeg Director may plan to have some events, Children’s Christmas party and Christmas Dinner as we need more volunteers. This is to inform you that this is my last report as President. 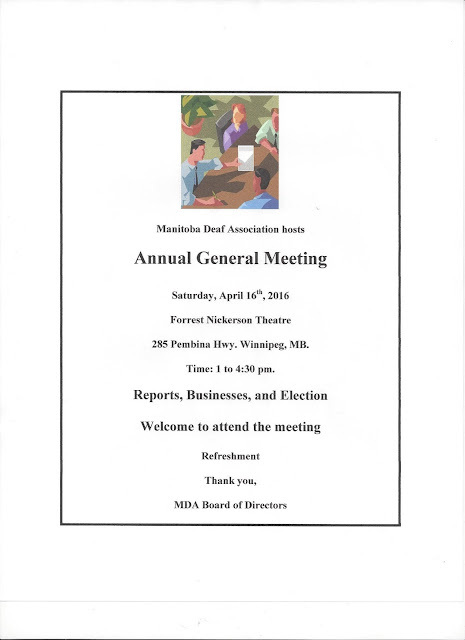 Manitoba Deaf Association had their AGM meeting on Saturday, May 2nd, 2015, which ran from 10 am till 4:45 pm. There were two workshops throughout the morning and was held on stage of the auditorium. The first workshop was from 10 am to 10:45 am. Kenneth Anderson introduced the idea of setting up one big organization where smaller groups can use as support. 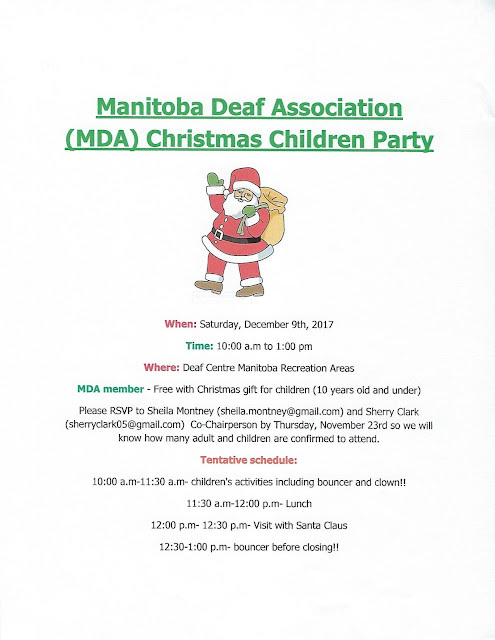 He suggested the name of the organization to be called either “Coalition of Deaf Manitoba Organization” or “Organization of Deaf Manitobans”. 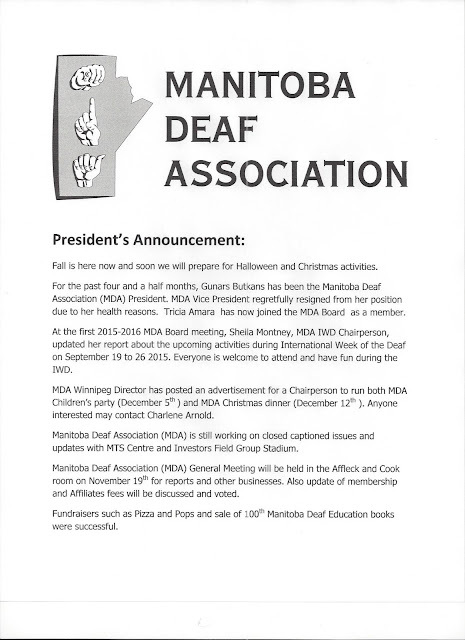 The members voted to name the organization as “Manitoba Deaf Coalition”. There were a lot of good feedback and suggestions over the name of the organization. 1. 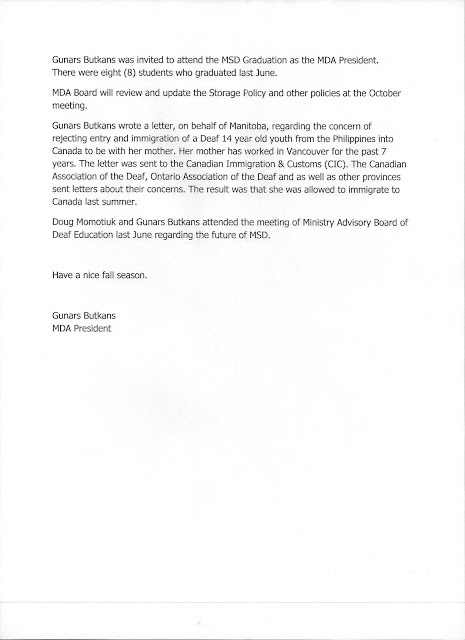 To see that the new major organization is created with a goal to have one strong group of Deaf members and to show the Provincial government that there is a strong group. 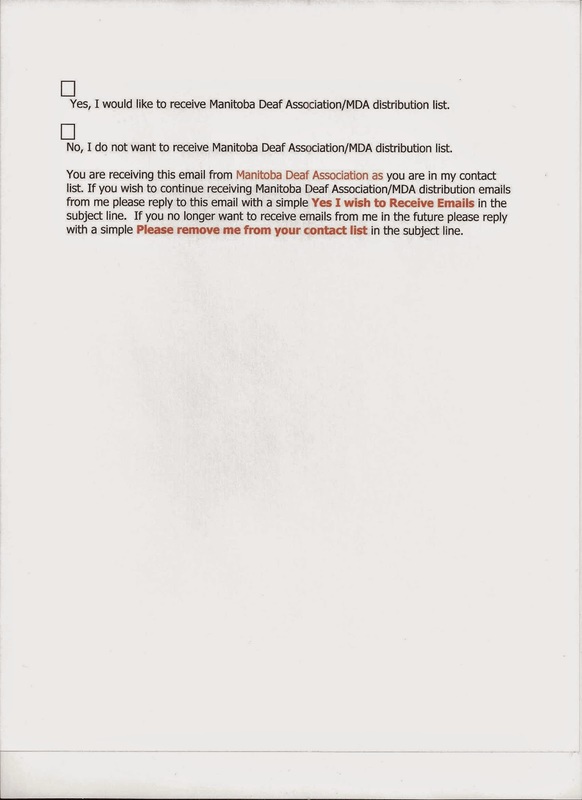 By having all Manitoba Deaf members from all organizations registered under the new group called “Manitoba Deaf Coalition” would prove to the Provincial government that there are hundreds of Deaf members living in Manitoba. 2. 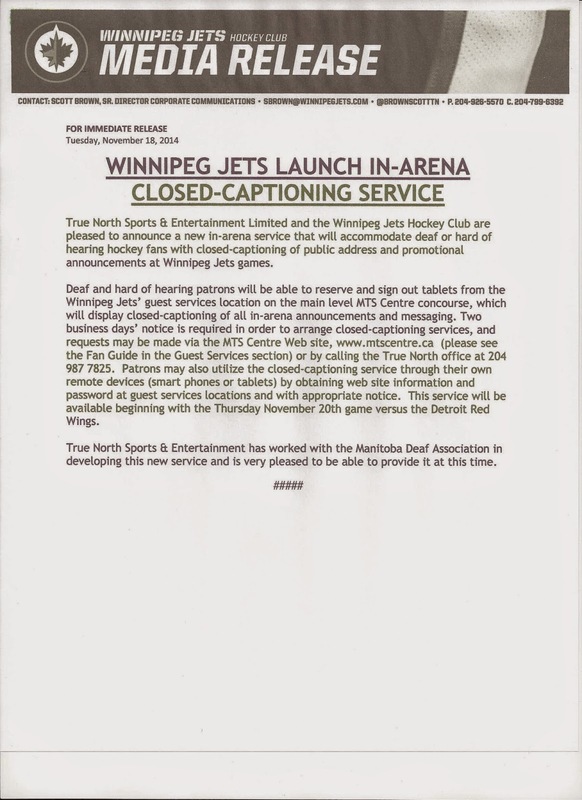 To see the goal of getting a Charitable Number for “Manitoba Deaf Coalition” from the Provincial government. 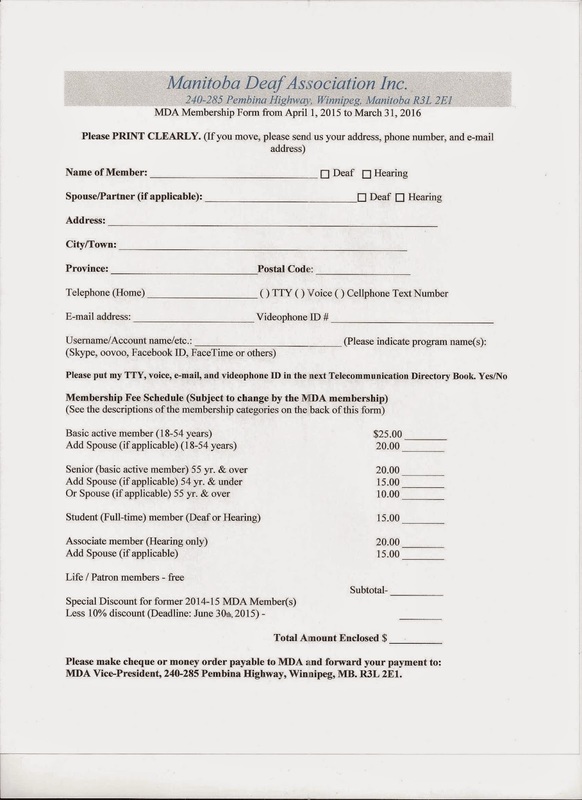 The new organization in turn can help other smaller Deaf organizations apply for assistance. 3. To see all existing Deaf organizations remain the same with their same Board of Directors. There will be no change in the running of their organizations. 4. 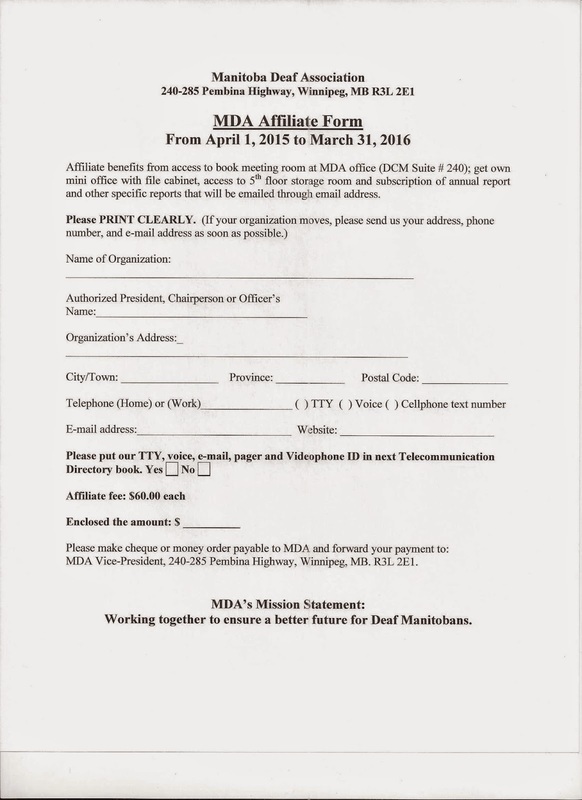 To provide better communication between existing Deaf organizations, “Manitoba Deaf Coalition” will only handle the scheduling such as meetings or social events for all organizations. 5. To explain to Deaf Members about fee memberships. Members are entitled to attend any meeting if they provide their names are on the “Manitoba Deaf Coalition” list. Members will not be asked to pay a fee to Manitoba Deaf Coalition, only to the organization of their choice. Members can attend other organization for the meeting but would not have the right to vote unless members have paid their fees to that organization. 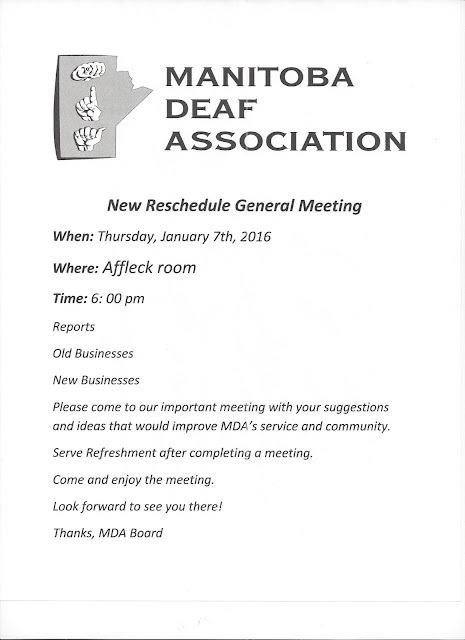 A meeting to discuss the strategy of the “Manitoba Deaf Coalition” will be scheduled soon and a reminder for every Deaf organization to attend this important meeting. The second workshop, from 11 to 11:45 am, discussed about whether MDA or WAD will work together or to be individual organizations. This item was put on hold because it was discussed before the meeting. Election took placed in the afternoon and congratulations to the new Board of Directors under the newly elected President Gunars Butkans. 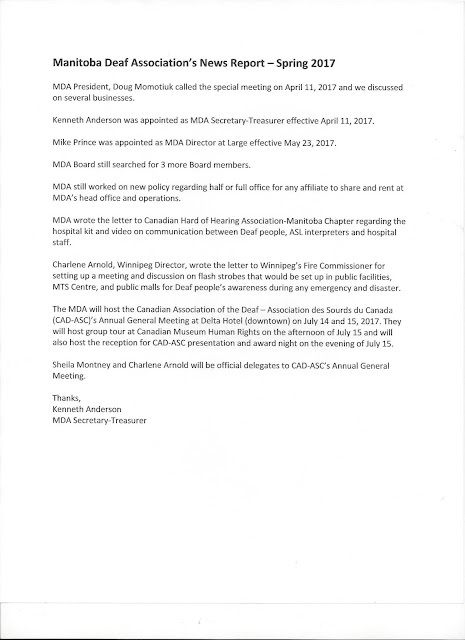 To avoid conflict of interest, Kenneth Anderson have stepped down as President for MDA in order to concentrate his time with the Canadian Association of the Deaf this coming July 3-4 general meeting and elections in Halifax. andersonKenneth62@yahoo.ca from andersonicelandic@yahoo.ca cuz that my email address is crashed down and forced me to change to new one. Please remember to use that new email addresses for the purpose of my involvement in the Deaf organization, such as WAD/CAD. 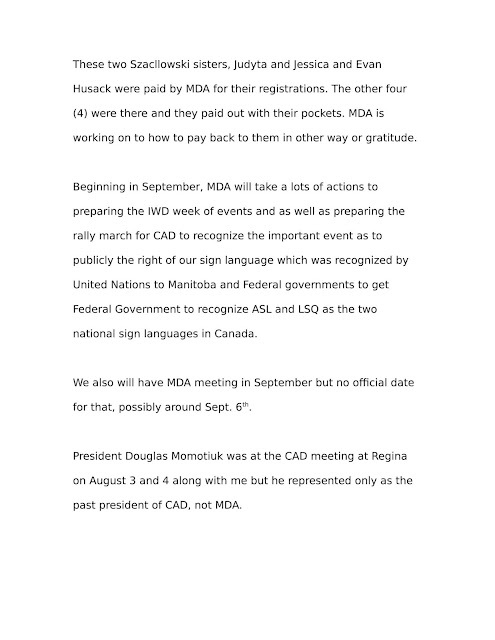 MDSA/CDSA, Western Canada 55+ Games and other Deaf organization. Please remember to use Elaine’s email address as andersonicelandic@shaw.ca for the purpose for general and personal comments to her email address other than Deaf organization. 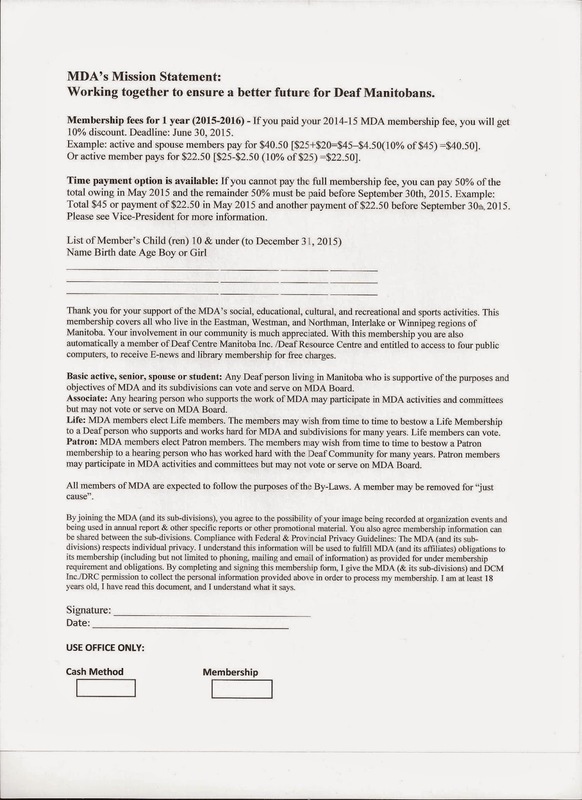 MDA Board is dire in need of one or two more members to be on the Board for this coming year. Cynthia Duboff has tendered her resignation as the secretary of MDA, which she was elected last April. It was due to her doctor being told that she had to take a year of absence from social activity due to her back surgery and unexpected other painful issues. It would be nice to have another to replace her and one more member to join. 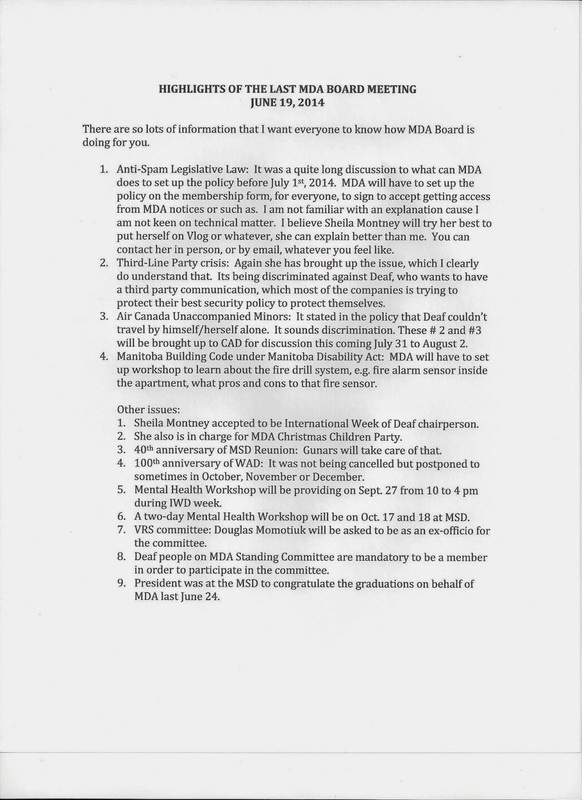 2 It is nice to see some Deaf people sitting on the standing committee which shows your respect to MDA. However, some of you are not a member. It is mandatory that Deaf must be a member of MDA in good standing. 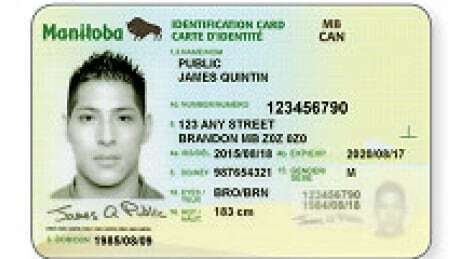 If you are still not a member; you do have a chance to become a member before the deadline of August 31st. If by August 31st, you are still not a member, you will be asked to leave the standing committee. You can contact Gunars Butkans, Vice-President and Membership Chairperson or me for more information. 18, 2015 marked the anniversary of 50th not 40th as stated. There will be a fundraising at Garbonzo’s Pizza at 2-471 Portage Avenue, formerly Greyhound Bus Station on Sept. 26, 2014. For tickets, please see Kenneth Anderson, Gunars Butkans, Douglas Momotiuk, Tricia Amos of MSD Reunion, DRC and Front Desk. Cost of ticket is $20 per person. For your information, the President will be at the CAD AGM meeting on July 31st for the weekend. Don’t hesitate to call and contact me for more information on MDA. Enjoy your second half of the summer. Congratulations on these elected Board and surely they will try their best to improve the future of MDA. The Board is in need to have a chairperson in charge of IWD (International World of Deaf) to establish the events during the week of September 21 to 27, 2014. It is similar to Deaf Awareness Week, which is no longer existed. Thanks to all those who already filled up and interested to sit on the standing committee called “Manitoba Education” and will start their first inaugural meeting this coming Wednesday, May 7. 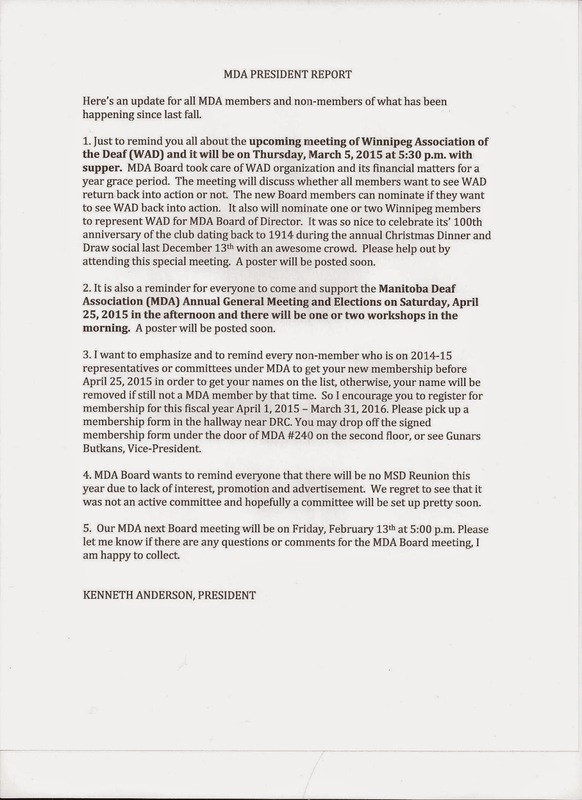 The Board will have their first MDA meeting as to review from last year activities and to discuss about the future budget on May 21th. 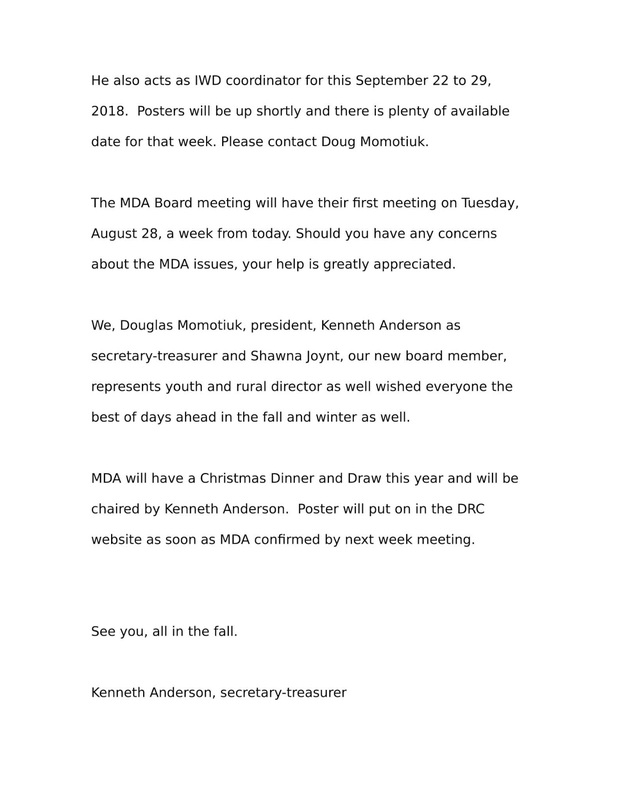 I would appreciate if anyone who wants to help with or feedback on MDA issue in any way, please feel free to email to Kenneth Anderson, andersonicelandic@yahoo.ca. VRS Manitoba: Sheila Montney & Kenneth Dans (co-chairperson), Kevin Bauldic, Devin Stocki, Patricia Amaro, Kimberly Drummond and Dennis Zimmer. There are few items that I want to let you to know about MDA. 1. Perhaps if you haven’t become a member of MDA yet this year, I encourage you to apply before June 30th, 2014 to get yourself a 10% discount. For the form, you can pick it from the bulletin board by DRC office and filled out and put it under the door of MDA –Room 240. A wonderful 10% discount before summer begins. 2. For organization, if your organization wants to become an affiliate for 2014, I again encourage you to fill it out same as above. Any questions, see Vice-President Gunars Butkans, who also take responsible for membership and affiliate too. 4. 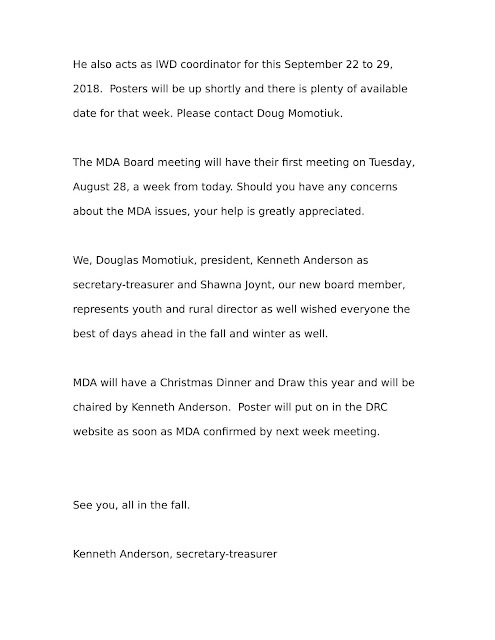 Any questions or concerns about MDA, please see me as well, since MDA will have their board meeting next Thursday, June 19. MDA will try their best to cooperate to answer your concerns. Please leave message at my email address. Many thanks and have a summer vacations as well.